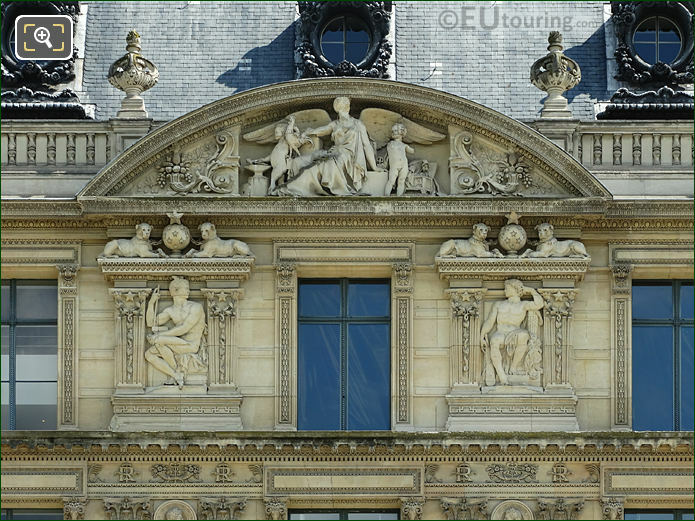 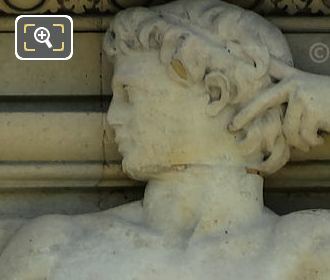 While we were at the Musee du Louvre in the 1st Arrondissement of Paris, we took these high definition photos showing a bas relief on the Aile de Marsan, which was sculpted by Amedee Donatien Doublemard. 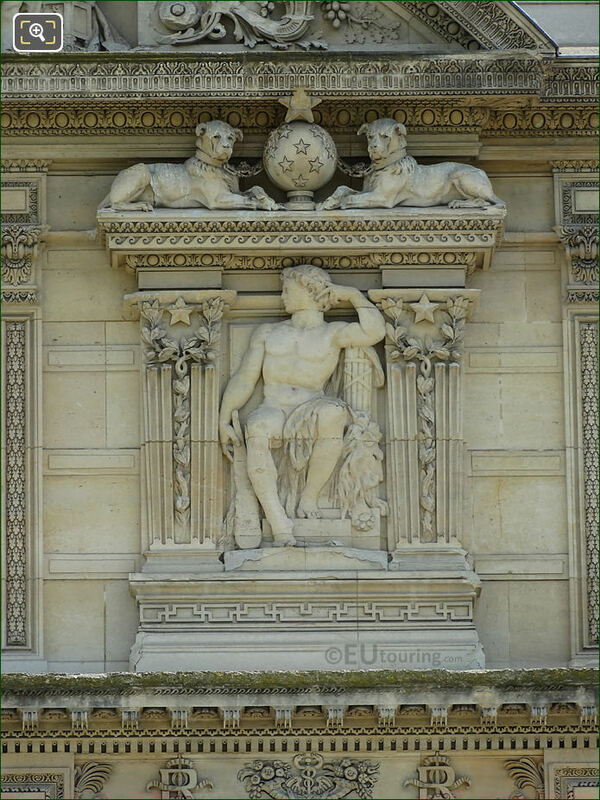 This first HD photo shows a bas relief, which is a sculpture term referred to as a low relief in English, and although we have been unable to find out the name of this, it was made of stone for the former Palais du Louvre, then put in place on the Aile de Marsan wing back in 1878. 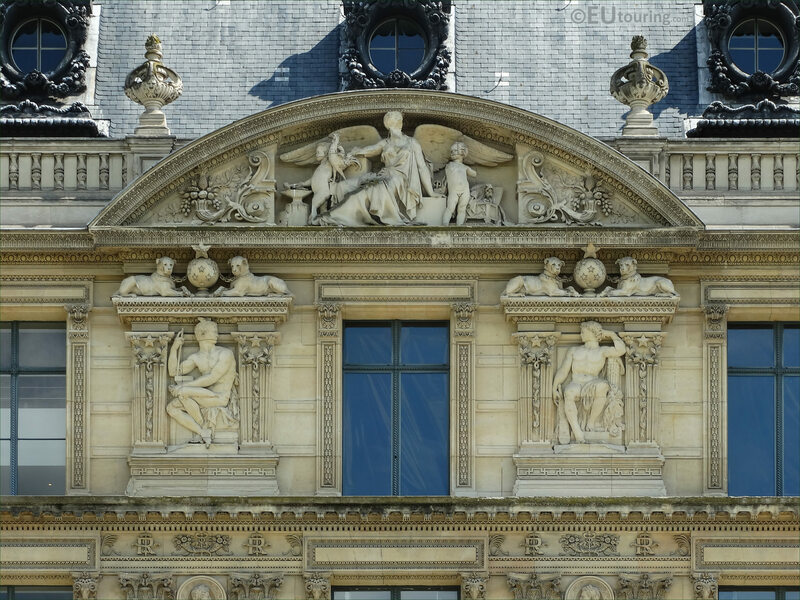 Here you can see the detailing that went into producing this bas relief, which was by Amedee Donatien Doublemard who was born in 1826 and studied under Francois Duret at the Ecole des Beaux Arts, becoming a joint winner of the Prix de Rome in 1855. 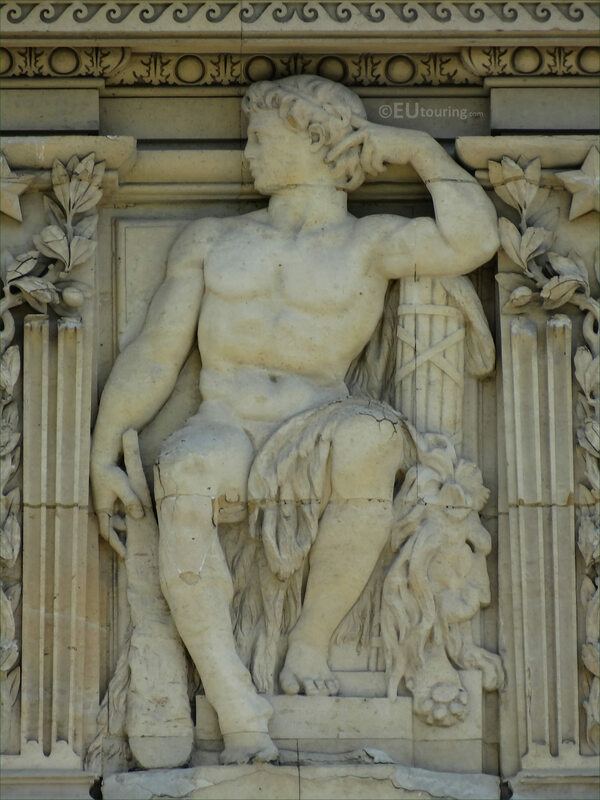 After this, Amedee Donatien Doublemard received numerous different commissions for statues and sculptures that can be found at many different tourist attractions like the Theatre de la Gaite Lyrique, Eglise de la Trinite, an impressive monument at the Place Clichy, busts within the Comedie Francaise and the Chateau de Versailles and this bas relief for The Louvre. 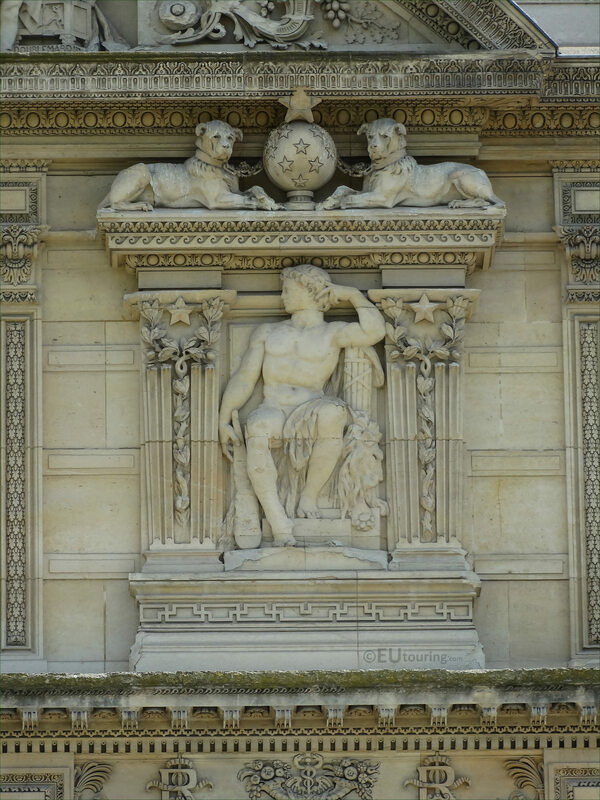 So when you are standing in the courtyard of the Louvre Museum called the Cour du Carrousel, you can see this particular bas relief positioned on the third level to the right hand side of the seventh window below the pediment of the Aile de Marsan, and in fact, Amedee Donatien Doublemard also produced the left hand side sculpture along with the top pediment that you can also see in this photograph showing a part of this ornate facade.